Running a campaign takes a whole lot of effort and more than a few loonies. To raise money for my campaign, I've brought one of my most popular Townee Tees designs out of retirement! For just $20, you get a sweet t-shirt, campaign button, and warm fuzzy feelings for supporting the democratic process. Sizes are unisex, S-XXL. 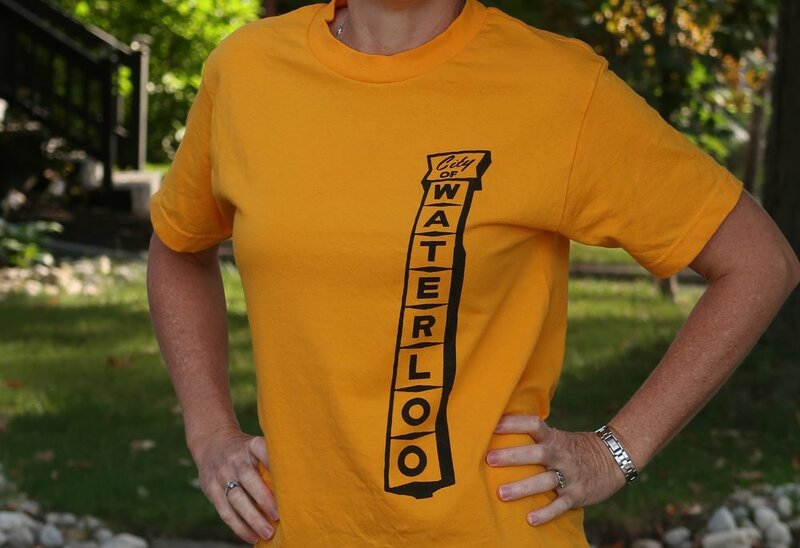 If you would like to get your hands on this limited edition "Waterloo Sign" t-shirt, it's easy! Just email us at info@TenilleB.com and tell us how many shirts you'd like and what sizes. We can then arrange pick-up or local delivery. Newer PostHow tall is too tall on King Street?